Very few things compare to the thrill of driving a new Lamborghini. While we are unable to show you our exquisite lineup of Lamborghinis here we welcome you to explore our website and we know you will be impressed. 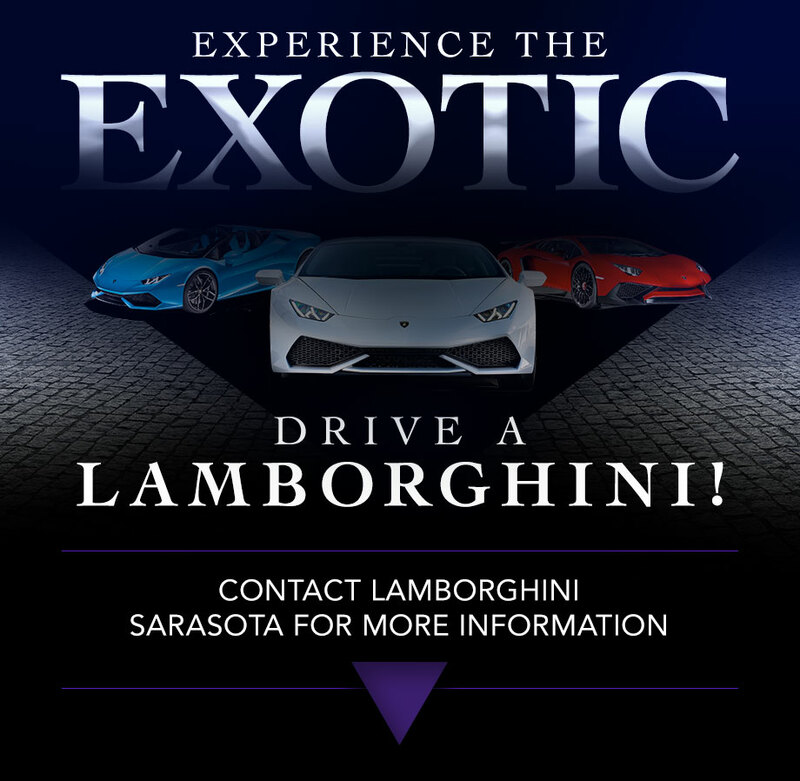 You'll quickly see why lamborghinisarasota.com has everything you need to know when it comes to the world of Lamborghini and why others just cannot compare. For more information on Lamborghinis and to schedule a test-drive feel free to contact John Giunta or Jordan Maxey for more information. Please allow us prove to you why driving a Lamborghini is an experience like no other.